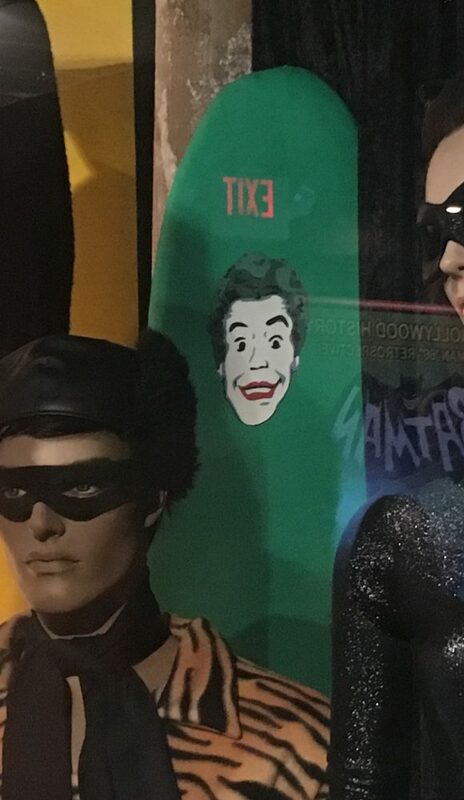 The Batman ’66 exhibit at Los Angeles’ Hollywood Museum is about as good a tribute to the show as you’ll ever see. 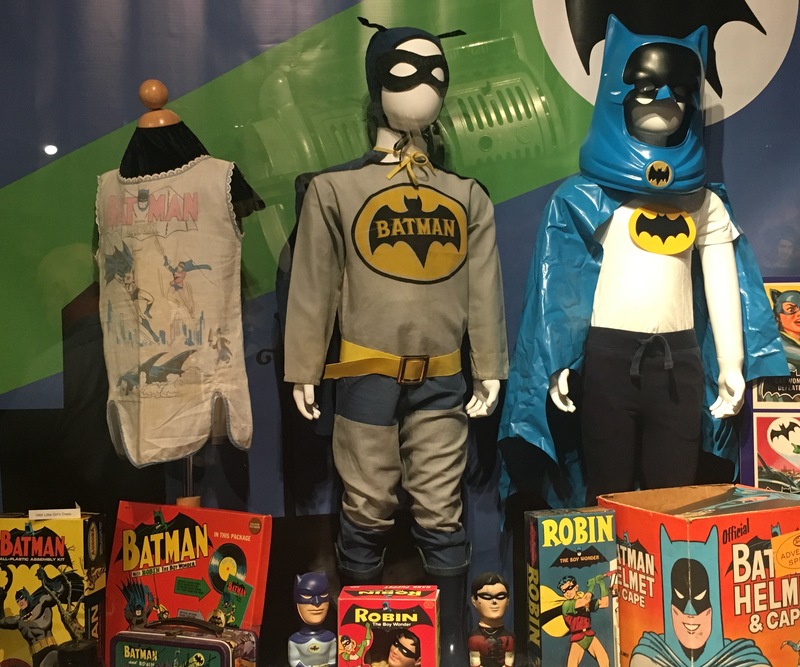 Lovingly curated by Wally Wingert, with contributions from about two dozen collectors and other helpful sorts, the three-month exhibition manages to nail just about every important aspect of Batman ’66 lore — and you can get your FIRST LOOK by clicking here. 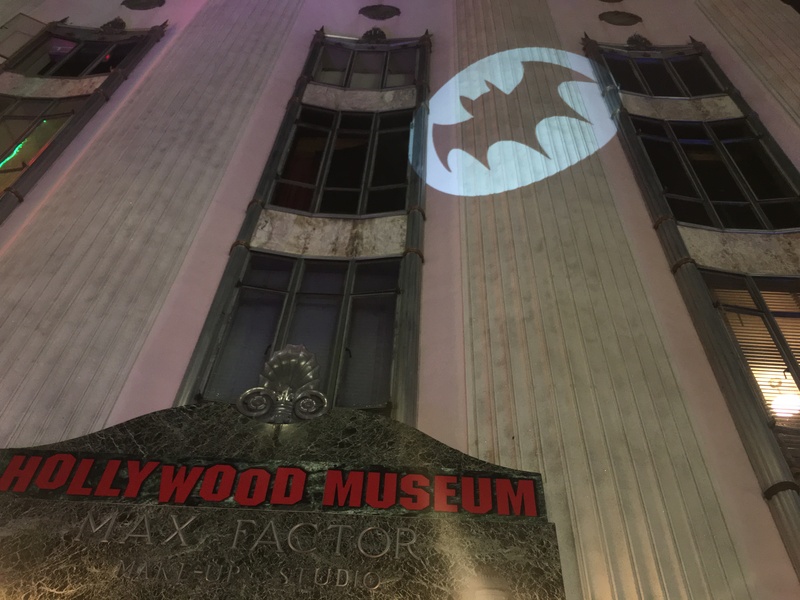 Beyond that glimpse, however, I really wanted to dig deeper into what makes this Batstravaganza so compelling. 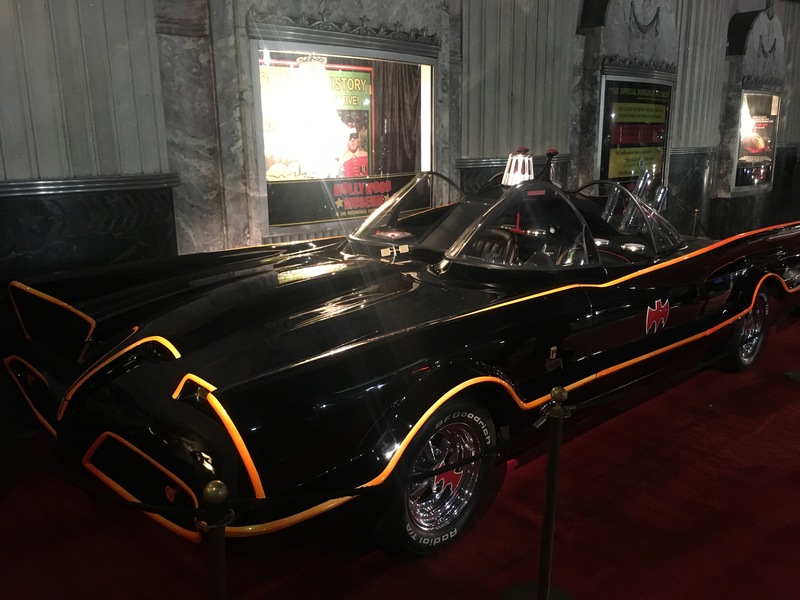 The exhibit is broadly divided into four sections: Bruce Wayne’s study, the Batcave, the rogue’s gallery and rare collectibles. But there’s so much material that the organizers had to utilize additional display cases to show off all they had to offer. The exhibit is further festooned with informational signage and colorful photos. 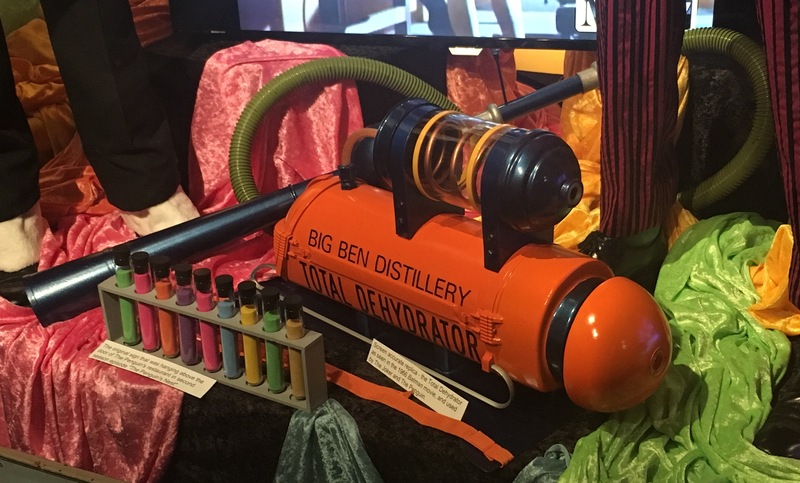 The items on display are a combination of screen-used curios and ridiculously precise replicas. 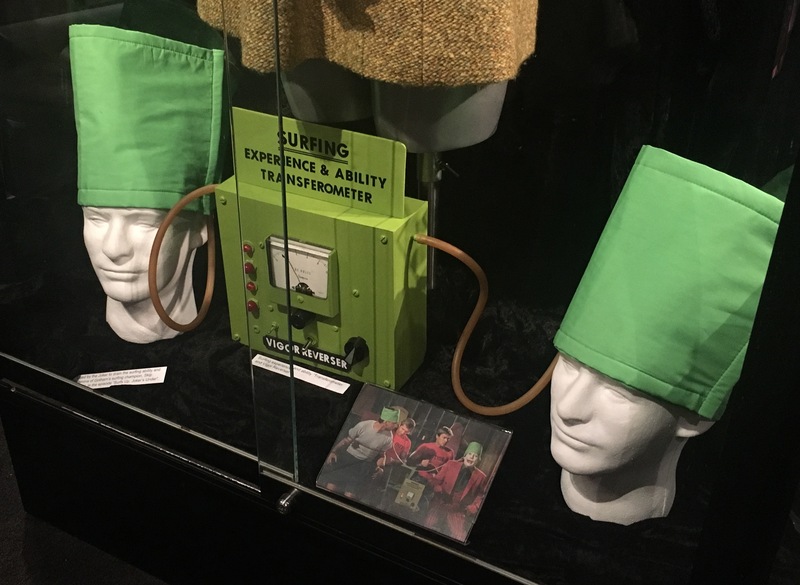 The latter was necessary for a couple of reasons: The exhibit’s contributors were remarkably generous in lending their items but there are still collectors out there who may not be so willing to let valuable authentic props and costumes out of their sight for three months. 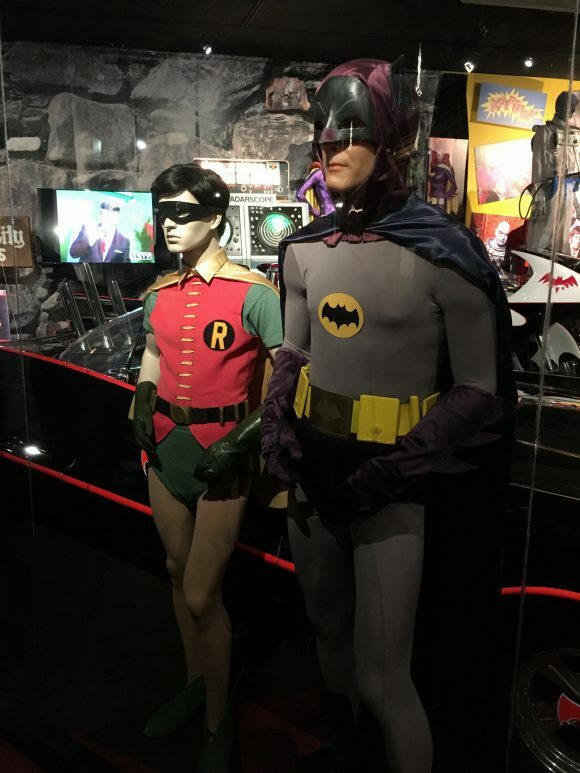 Further, the original costumes have largely faded with age. 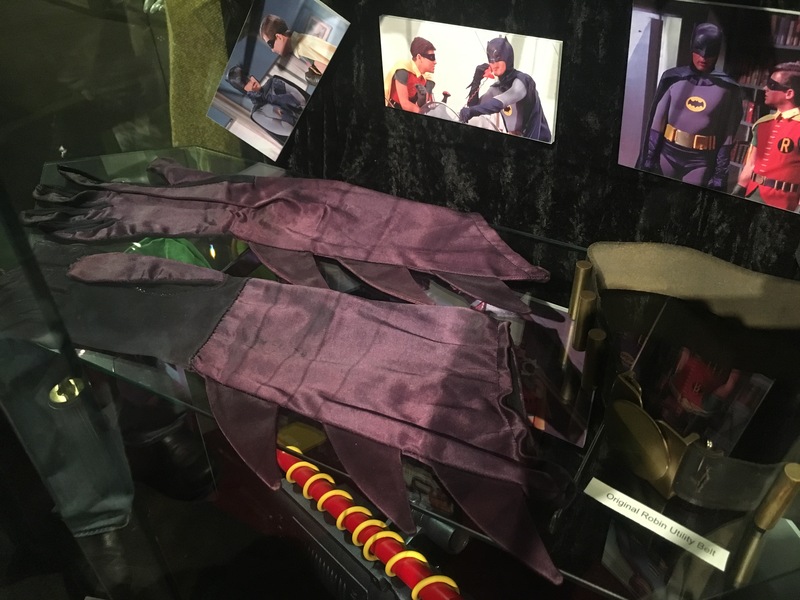 In the foreground, screen-used costume pieces. In the background, replicas. Best of both worlds. The solution? 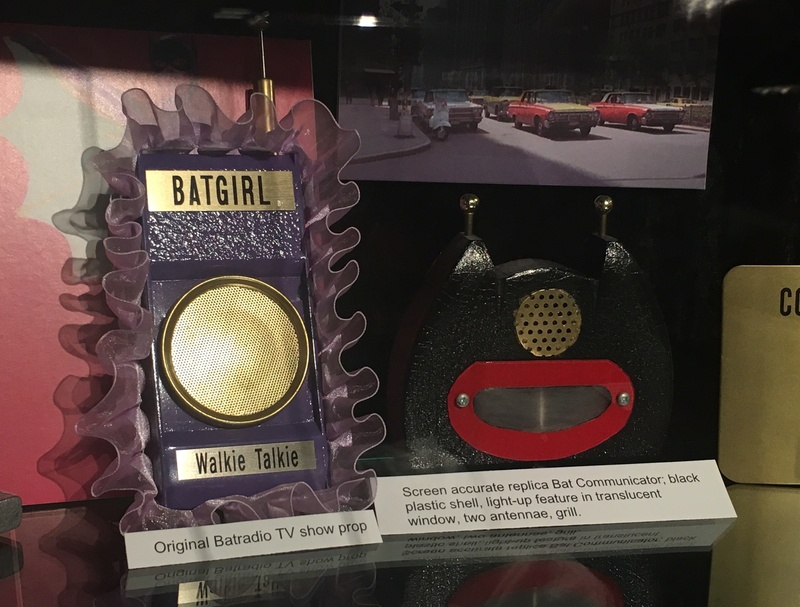 The replicas, which were created by remarkably dedicated fans of the show who share a single-minded determination to preserve and celebrate Batman’s enduring legacy. The result is a combination of old and new that lends an air of historic impact while maintaining the brightly lit DayGlo sensibility of a show that grooved in the go-go ’60s. Now, it’s your turn. 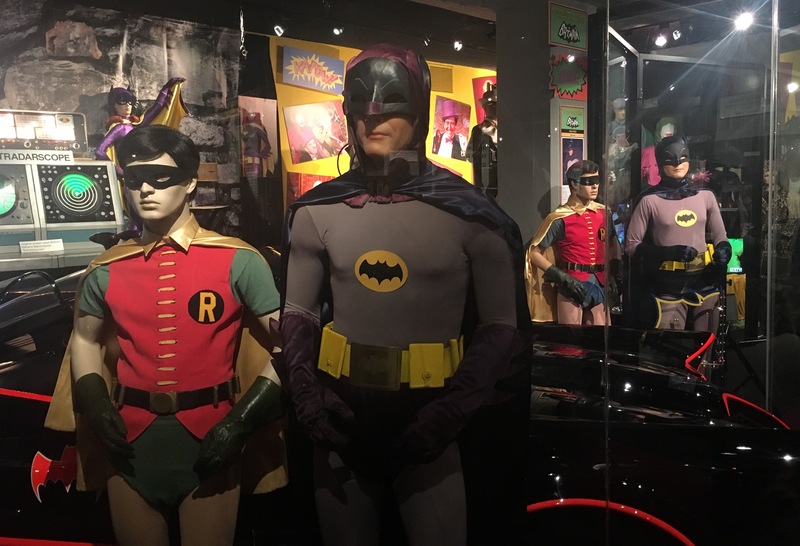 The exhibit — formally called Holy Hollywood History: Batman ’66 — opens to the public Friday, which is the 52nd anniversary of the show’s Jan. 12, 1966, premiere on ABC. Ticket info can be found here. Somebody made one of these, bless ’em. I loved seeing pieces of my childhood on display. 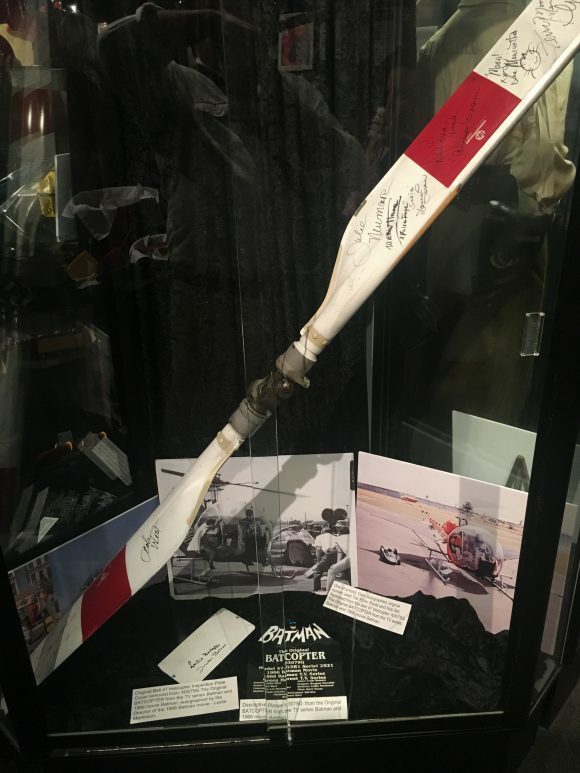 The original tail rotor of Eugene Nock’s original 1966 Batcopter. 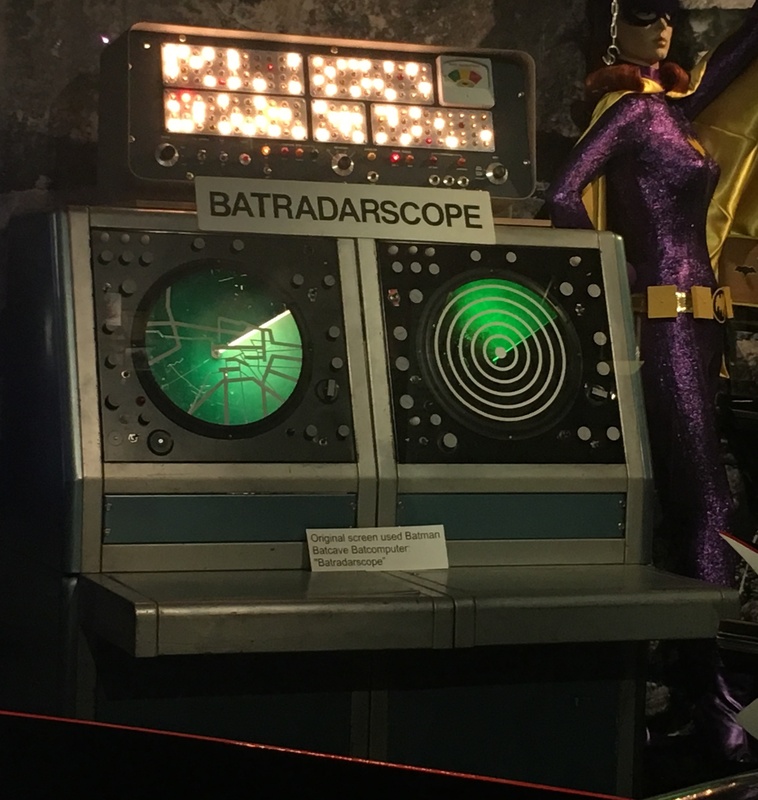 — For overview photos of the BATMAN ’66 exhibit — which you most definitely want to see, click here. 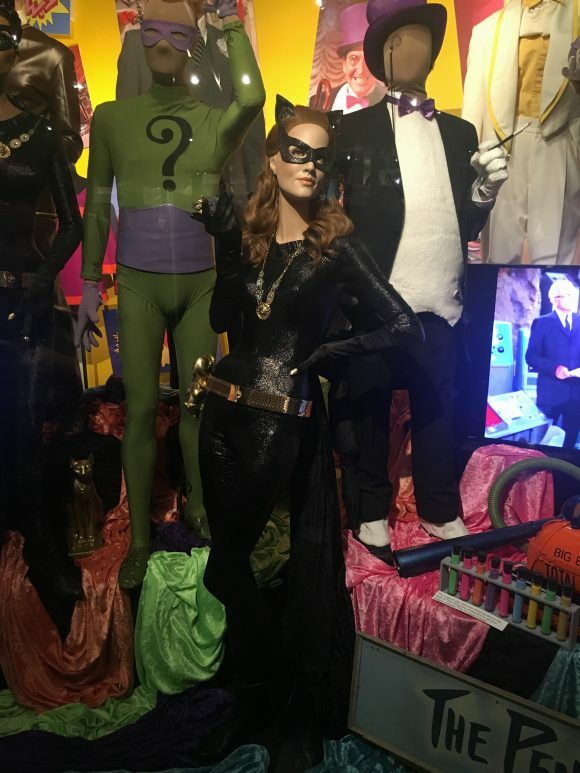 — For an INSIDE LOOK at the BATMAN ’66 epic villains display, click here. Whish I could be there. Have all those collectibles too! Wow. That’s all great stuff. 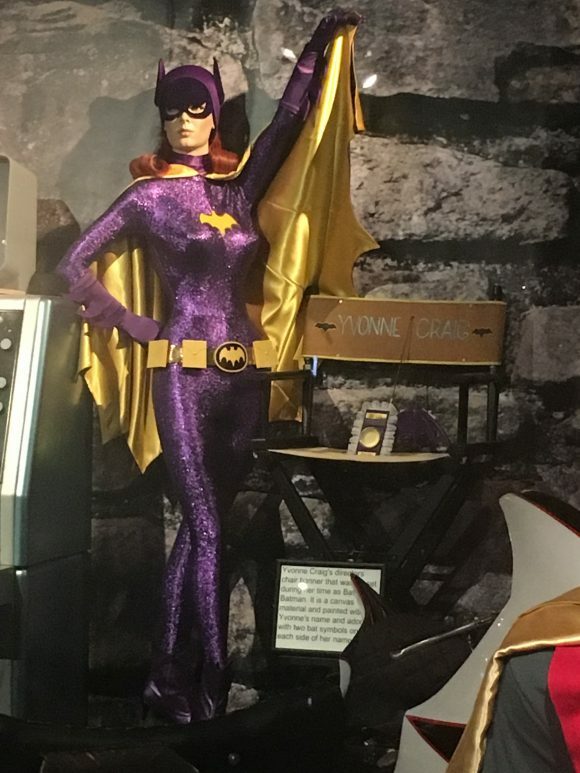 The Batgirl and Catowman statues are great. 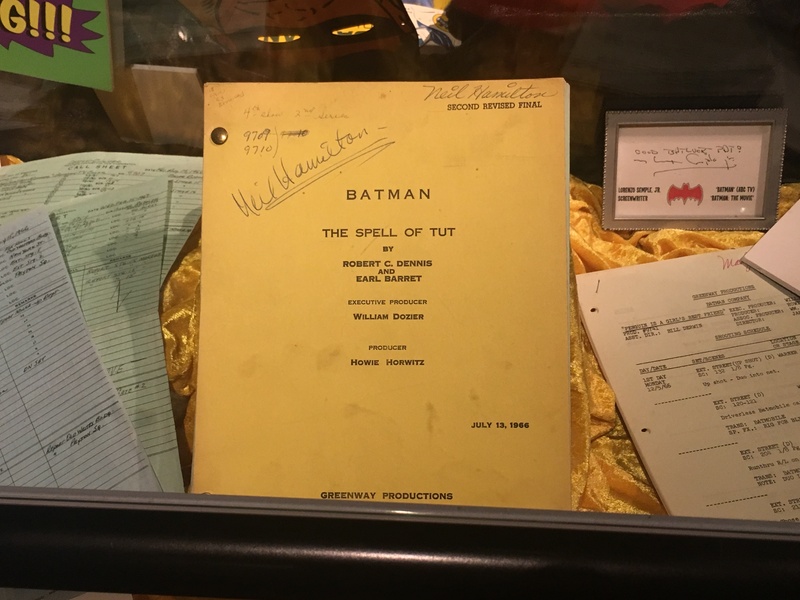 And that Neil Hamilton King Tut script…..13 days before my birthday. Too great. 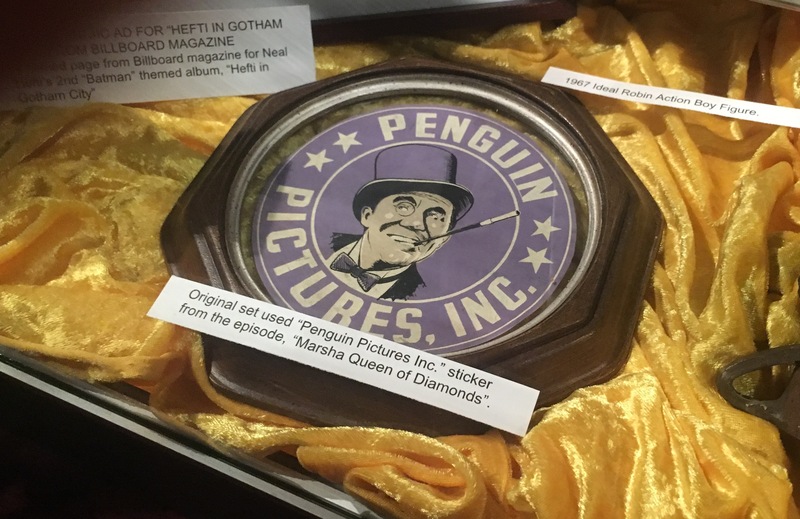 The Penguin Pictures sticker wasn’t used in Marsha Queen of Diamonds. It was used in their team-up episode. Trying to get a trip put together…how long does the exhibition run?